I'm sorry if you came here looking for Tide Pods. 1. 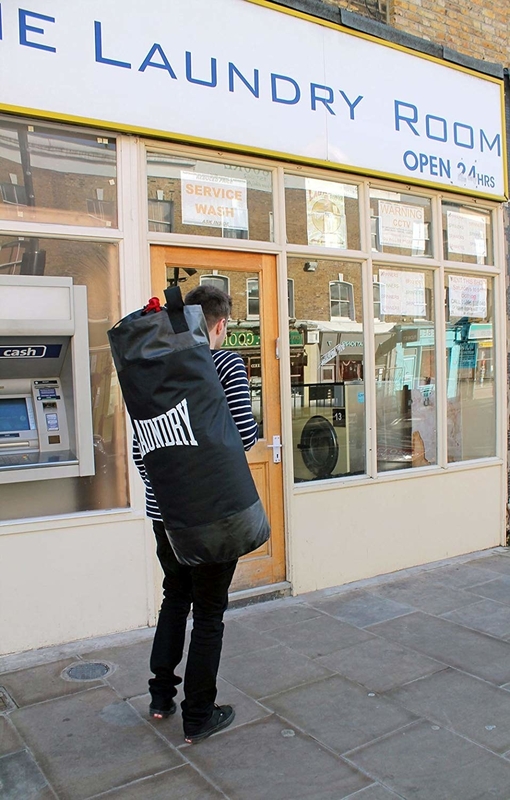 A punching bag-shaped laundry bag, because if you're mad about having to trek to a laundromat, you might as well channel that anger into something productive (like, say, your burgeoning boxing career). Get it from Amazon for $25.67. 2. A collapsible laundry cart that'll simplify your at-home laundry process — supplies on the bottom rack, dirties in the top basket. 3. Or, an outdoor-friendly version fit for the city dweller without a washer/dryer— you won't ever have to worry about it snapping under the weight of your months' worth of undone laundry. Get it from Amazon for $29.99+ (available in 22 colorways). 4. A set of mesh laundry bags to protect your delicate clothing items in the wash and ensure that you and your undies make it back home in one piece. Get it from Amazon for $7.99 for a set of five. 5. A retractable tension clothesline for when you need to hang-dry your clothing at home but have entirely run out of hooks and doorknobs. 6. An attachable "Tidy Cup" that'll catch droplets of detergent before your laundry excursion devolves into a gooey nightmare. 7. A set of cactus dryer balls, which might just be the poke you need to get going with your laundry. Get it from Amazon for $8 for a two-pack. 8. 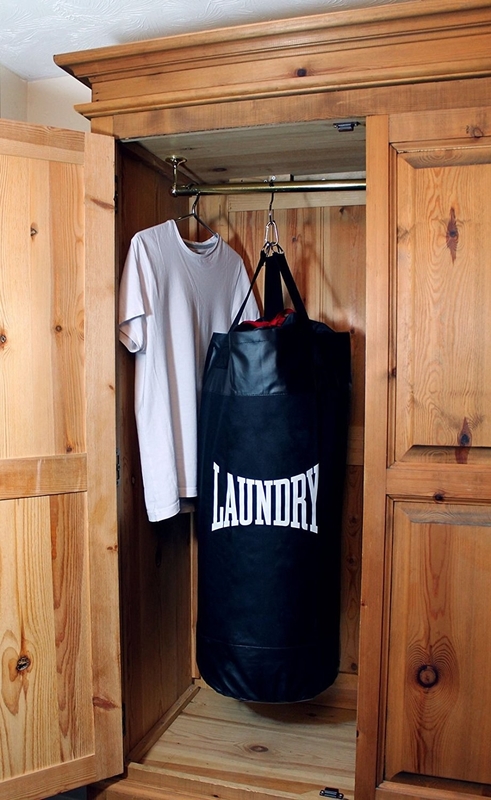 A dual-compartment hamper for separating lights and darks — or, your stuff from your very pungent housemate's. Get it from Amazon for $39.94 (available in gray, cream, brown, and black). 9. An all-natural brightener for your clothing, if you want the sparkle of a freshly purchased tee without the violent scratching of a person who has very sensitive skin. Get it from Amazon for $14.69. 11. A washer-friendly sock organization system (equipped with clips and locks), because your least favorite part of doing laundry — hands down — is scavenging for lost mates. Get it from Amazon for $16 (available in pink, red, blue, and dark blue). 12. 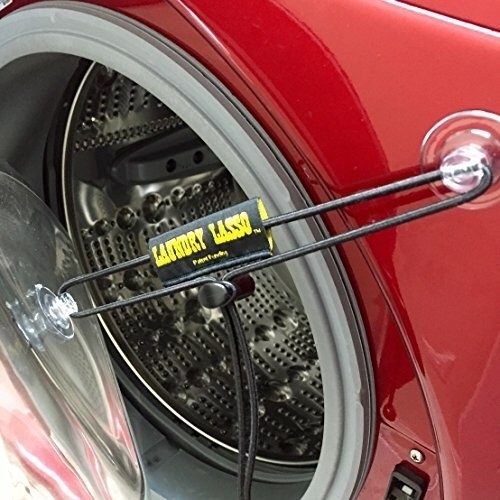 A lasso that'll hold your washer door open just a crack to cut down on mildew buildup — and, in turn, save you money on fresheners. 13. 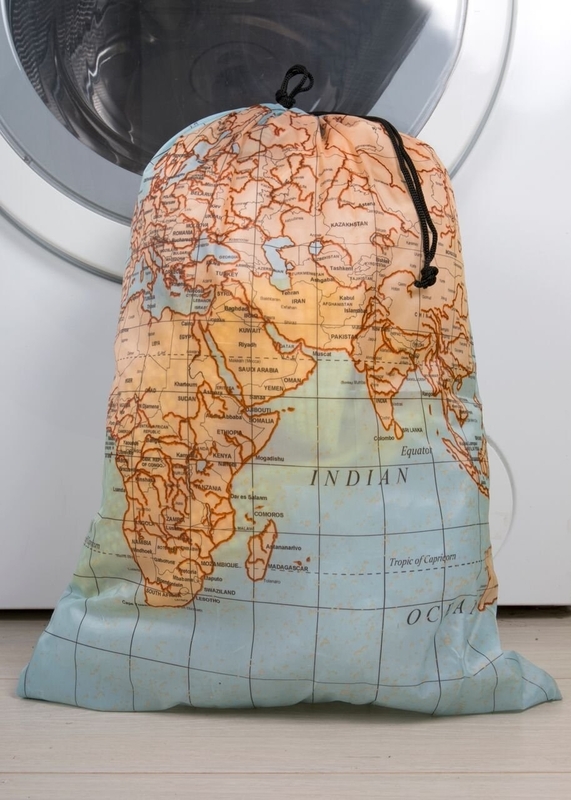 A travel-size laundry bag if you must do a wash while you're away on vacation and need an organization system that isn't just tucking dirties into a zipper compartment of your suitcase. 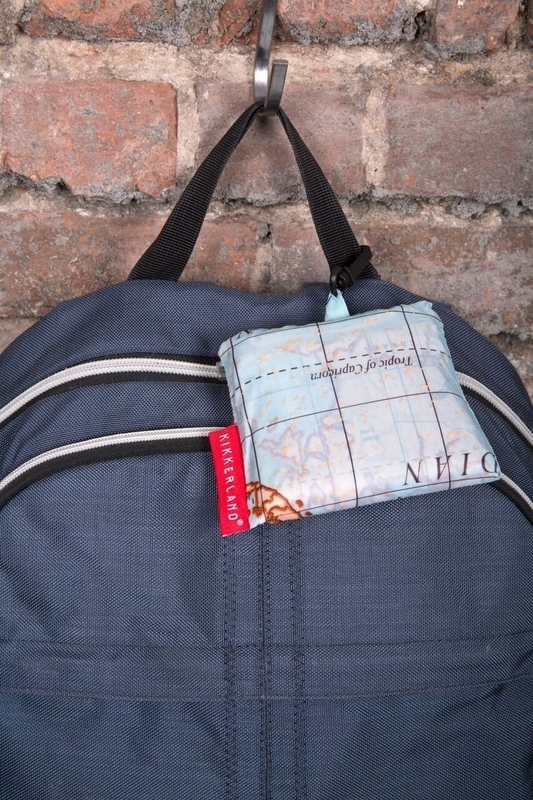 Promising review: "As a frequent traveler, this bag has been great for packing dirty laundry on the return trip home. It will hold much more than I usually put in it and compresses nicely in the suitcase. 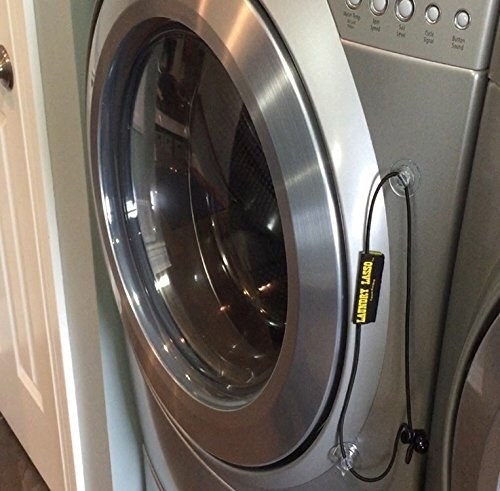 I toss it in the washer along with the clothes and it has held up for well over a year now." —C.C. 14. A three-tiered drying surface for drying your delicate items in a room with limited space. Get it from Amazon for $12.13. 15. A portable magnetic ironing blanket for when you remove your very crumpled clothing from the dryer and realize your journey to looking presentable has only just begun. Get it from Amazon for $7.91. 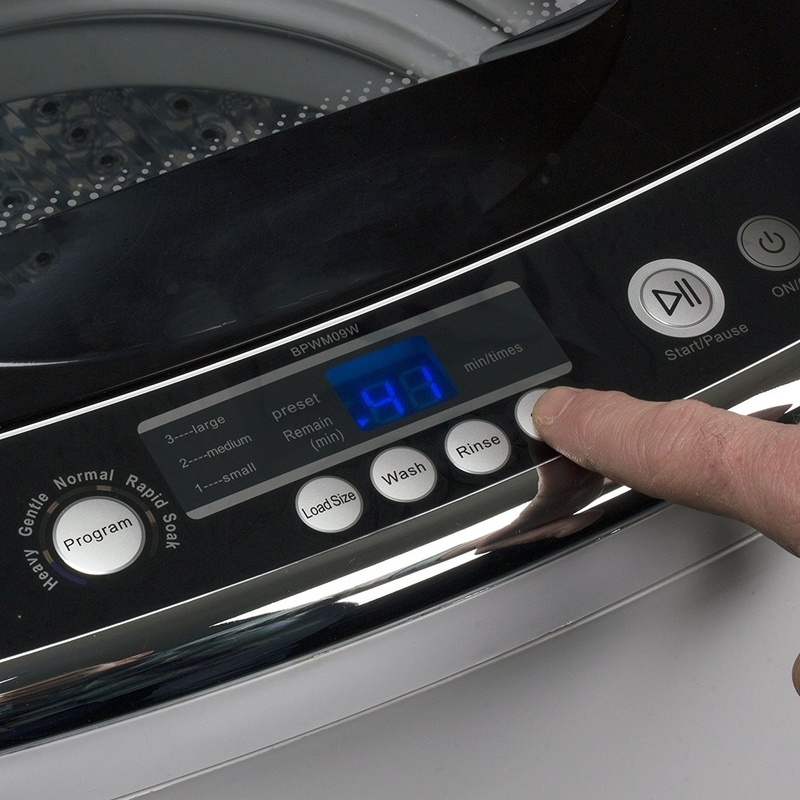 Promising review: "I tell everyone: Purchase one of these and it will pay for itself in two months with savings from laundry and dry cleaning bills. I've pressed wedding dresses with the tremendous steam from this iron. I've pressed men's shirts and pants in record time. I've pressed 285 marching band uniforms with this steam station. You cannot go wrong. It's simply the top of the line." —Debbie B. Get it from Amazon for $288.73. 17. 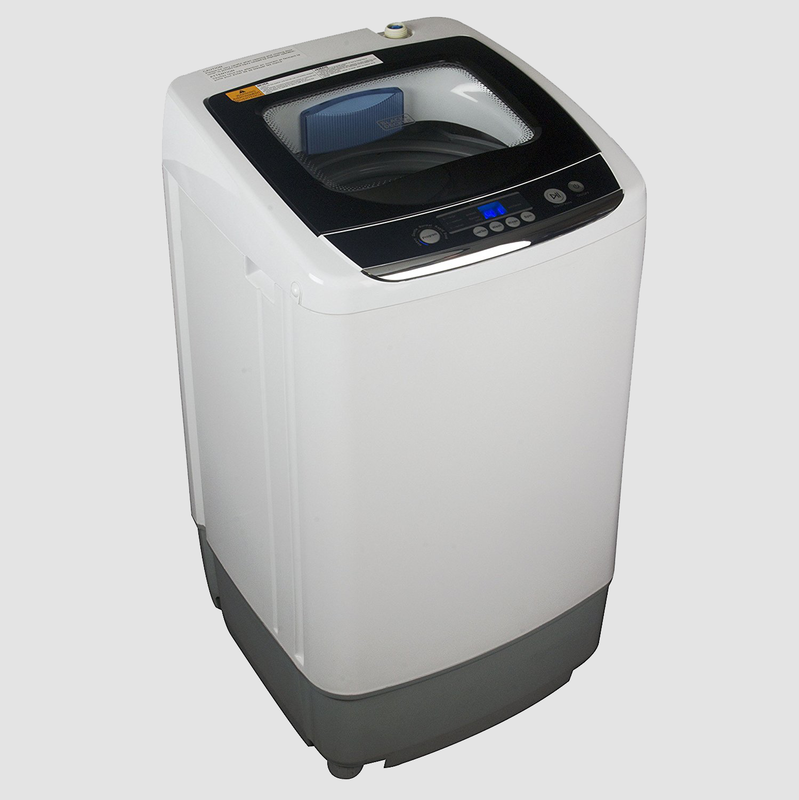 And a portable at-home washer, in case you've done the math and realized you could be saving a lot of money by skipping the drop-off laundry routine and doing it yourself. Get it from Amazon for $249.08.